Canon celebrated an impressive lens-manufacturing milestone with the production on April 22, 2014, of the Company’s 100-millionth EF-series interchangeable lens for EOS cameras—an EF200–400mm f/4L IS USM Extender 1.4x. Production of interchangeable EF lenses for Canon EOS-series AF (autofocus) single-lens reflex cameras began in 1987 at the Company’s Utsunomiya Plant and, with the addition of Canon Inc., Taiwan; Canon Opto (Malaysia) Sdn. Bhd. ; and Oita Canon Inc. in southern Japan, is now carried out at four manufacturing bases. In May 2013, EF lens production surpassed the 90-million-unit mark and now, approximately eleven months later, Canon is commemorating its first-in-the-world1 achievement of having manufactured 100 million lenses. Canon’s proprietary EF lenses, launched in March 1987 along with the EOS SLR camera system, have continued to evolve since their introduction, leading the industry through the incorporation of a wide range of innovative technologies, including such world’s firsts2 as the Ultrasonic Motor (USM), Image Stabilizer (IS) technology, and a multi-layered diffractive optical (DO) element. In May 2013, aiming to further expand the realm of photographic expression, the Company introduced the EF200-400mm f/4L IS USM Extender 1.4x, the world’s first3 super-telephoto zoom lens with a built-in 1.4x extender that makes possible a 200–560 mm focal length range. In recent years, in addition to renewing such models as super-telephoto lenses ideal for sports and nature photography along with zoom lenses that offer a bright f/2.8 maximum aperture throughout the entire zoom range, Canon has launched multiple entry-class interchangeable lenses equipped with a stepping motor (STM) that delivers smooth and quiet autofocus performance during video recording. 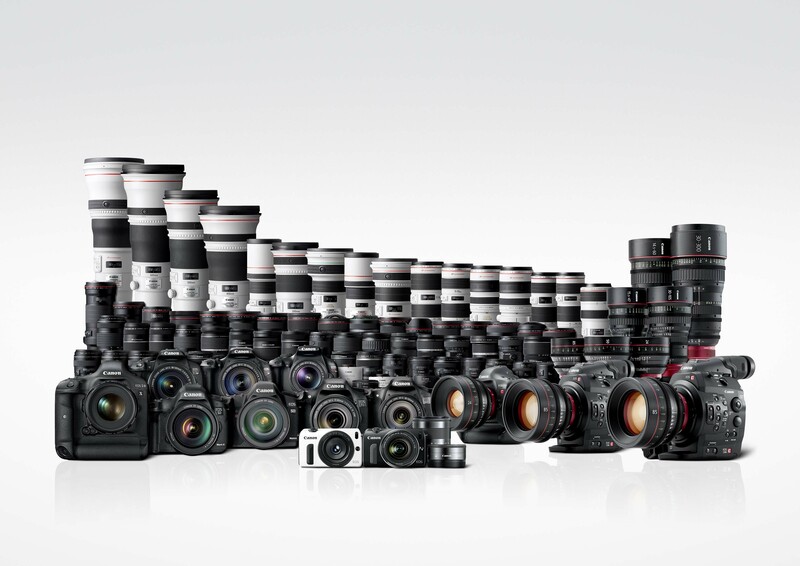 As a result, the Company’s extensive EF lens-series lineup currently comprises a total of 89 models.4 In addition to enhancing its lens offerings, Canon has expanded the optical technologies incorporated in its EF lenses into new fields, launching EF Cinema Lenses for digital cinematography in January 2012, and EF-M lenses for compact-system cameras in September 2012. TulipMania 2014 at Gardens By The Bay!